Things To Remember Before You Choose A Doctor For Your Child! The things done before the time have good results. Likewise, before the birth of a baby, you should have a physician picked before the birth of your baby. You may need to visit the Pediatric urgent care within the day’s of your baby birth, so it will help you at that time because you will be already having enough things in your mind. Here are some things which are mentioned for your knowledge and you should know before you make the first appointment for your baby. When you visit Pediatric Urgent Care, know the answers of your questions which are in your mind! Do they accept insurance plans? Do they expect payment in full in advance or they charge you after they have heard once more from your insurance? How do they bill follow-up visits? How the management is done in the waiting area for sick and healthy children? What are the working hours of Doctor in an urgent care? What are the facilities and services for you if there is a case of emergency after hours? There are many more questions which can strike in your mind. Don’t feel shy to ask! Ask the staff as well as the doctor, because the more information you gather, you can make a right choice of a doctor for your child. Astrahealth, a Pediatric Urgent Care Clinic in Piscataway, does answer your all questions. You will not only find the answers to your questions, you will get it what you expect! Visit here for the healthy care of your child. Finding Emergency Room Can Be A Challenge For You! Because of the numerous patients that flow through an emergency room on a daily basis, most of who are in rare and critical condition, along with a common lack of staff, facilities issues, emergency clinic room are prime breeding ground for mistakes. The most common issues came from misdiagnoses or incorrect treatments being administered, mostly due to staff that is inexperienced and only in the department part time. While Emergency room staff members are supposed to be highly trained professionals and prepared to handle a wide variety of medical problems. It is the responsibility of a hospital to make sure that its employees are up to the standards of their career field. Without having number of practitioners in the emergency room, response times should be the first aspect of healthcare to suffer. If there will be a limited number of practitioners, nurses or doctors to assist an injured person, then priority of the wound may dictate who should be received treatment first. However, particularly in an emergency room, that can be mean that even life-threatening injuries may go precious minutes before being attended to. This can mean that a patient slips even deeper into a serious state of injury, or simply does not receive attention in time to save his or her precious life. 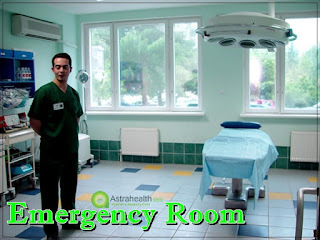 We Astra Health Center are well Nearest Emergency Room Doctor We have highly trained staff who have many years of experience to handle emergency cases and give the best to best treatment to the patient at time so that no one loss his or her precious life. Call us today or visit our website to find out more information about the Astra Health Care Center if emergency rooms in lyons. We are here to help you!